Staying in an apartment or vacation rental in China can be an attractive option for some travelers. These are normally private properties that are rented out to travelers on a short or long term basis by their owners. If you are staying for a longer period of time in a specific city for instance, an apartment or rental might be more suitable and oftentimes more economical. Families traveling with children likewise find this a better option and can avoid the hassle of staying in separate hotel rooms. Apartmens do offer a bit more space and having a kitchen is definitely a plus. Although some properties require a minimum stay, say one week, others are more flexible and can be booked for a night or two, a fun option if only for the experience of living like the locals. Apartments and Vacation Rentals in China are typically rented directly by the owner or through a management company. 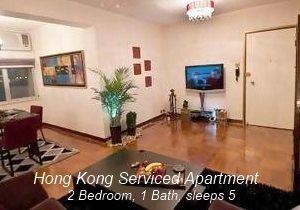 Booking an apartment or rental in China is not as straightforward as booking a regular hotel room. It will most likely require communicating with the owner or property manager directly, make arrangements for picking up keys on arrival, etc. and there is always the risk that the property is not as advertised or as it "looks in the pictures". Unless you have a first hand recommendation from someone that has stayed in a particular property before, it is a good idea to book through a reputable listing service which has verified the property and will make the process easier and less risky. In addition, the listing services also provide visitor reviews which are useful in determining whether a property fits your needs as the range of ammenities varies greatly among properties. How do I book a vacation rental or apartment in China? During high season, popular vacation rentals go fast! Plan on booking six months to a year in advance, and dont hesitate to contact multiple properties at a time. You can book some properties directly online; however, many properties, especially homes managed directly by the owner, require personal contact. In this case, fill out the e-mail form provided on the site and the owner will reply directly to you. Responses typically take 24 to 48 hours. Appliances in the kitchen if you want something in particular i.e. microwave, toaster, etc. Payment and Deposit policies vary among properties with most requiring a security deposit. 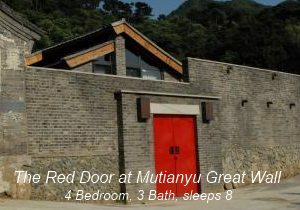 We have also used www.HomeAway.com, which keep expanding their listings for China cities and regions.